European members of the World Union of Wholesale Markets (WUWM) have agreed to closer collaboration in order to play a more visible role in upholding the European Union’s food supply model. 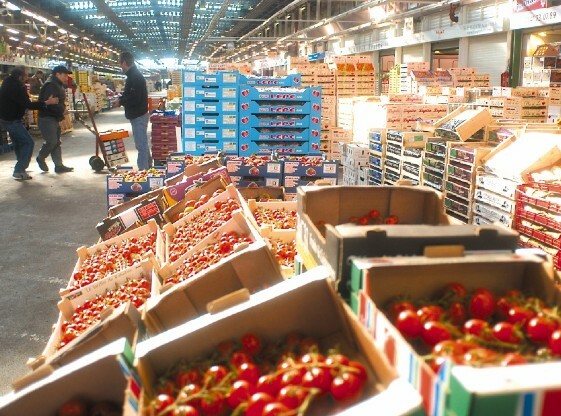 On Monday, representatives from 120 markets in 22 European countries signed the first ever European Wholesale Markets Declaration, which seeks to recognise the key role that wholesale markets play in Europe’s agri-food chain. The document highlights the importance of the wholesale market model in supporting key EU policies, such as food security, the circular economy, supply, distribution and traceability of fresh produce, and above all the fundamental function of wholesale markets in valuing agricultural production and safeguarding the European agricultural model based on diversity of its products. In a statement, WUWM said that in spite of the vital role they play in the EU’s food supply chain, wholesale markets are often overlooked by European and international institutions compared with other players such as producers and retailers. It believes that markets should have a great role in debates about the future strategy of the sector. “Nowadays, the challenge for the European wholesale market model is to enhance the attractiveness and competitiveness of European production, which cannot be done by weakening the diversity of supply but rather by intensifying it,” WUWM said. “Supermarkets, hypermarkets and multinational discounters have an interest in reducing the diversity of the supply chain as it simplifies and makes their purchasing and inventory control easier. In the document, the markets also commit themselves to work more closely together to increase their performance and competitiveness, encourage innovation and face new challenges such as digital markets, clean logistics and last mile delivery, product traceability waste management and organic production. Stéphane Layani, president of Rungis International Market, described the declaration as “a solid foundation from which to engage in constructive discussions with the European institutions”.